Everyone wants a friend. Everyone needs a friend. Friends support us, understand us, and lend a sympathetic ear or hand when needed. 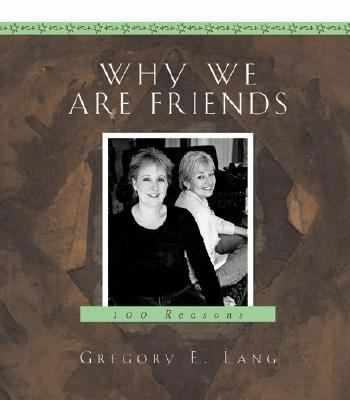 They are the ones with whom we can let down our guard and be ourselves and this book celebrates the joys and blessings of friendship.Lang, Gregory E. is the author of 'Why We Are Friends 100 Reasons' with ISBN 9781581825558 and ISBN 1581825552.